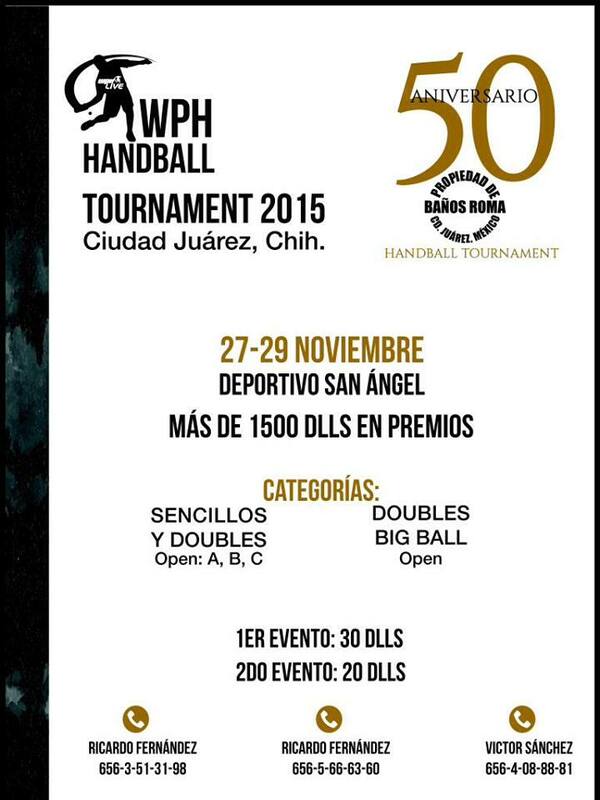 Juarez, MX, WPH Press, 11/17/15- The World Players of Handball is proud to present the 50th Anniversary Juarez Handball Tournament in Juarez, Chihuahua at the San Angel Handball Club. Boasting one of the strongest adult and junior handball communities in North America and proudly represented by top 12 WPH Race 4 Eight pros Luis and Daniel Cordova, the Juarez Handball community presents Open, A, B, C and Junior Small Ball Singles and Doubles, as well as Open Doubles Big Ball with $1500 in total prize money awarded to the adult divisions. 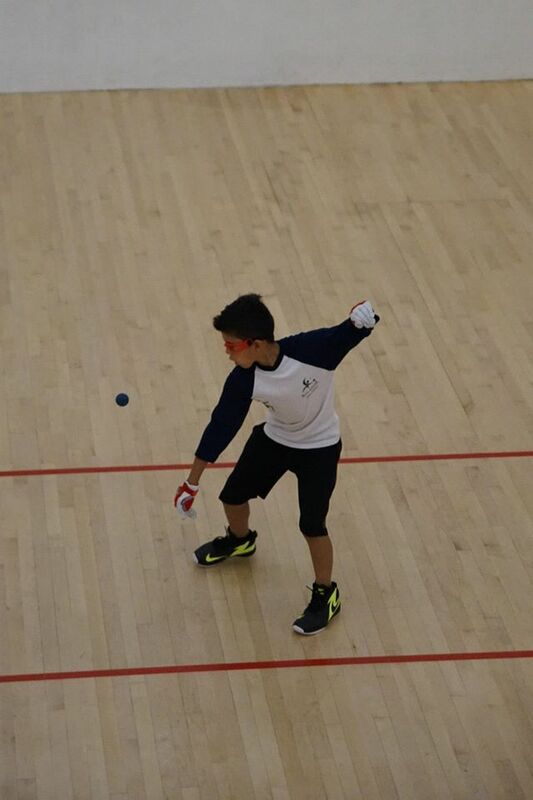 The 50th Anniversary Juarez Handball Tournament Presented by the WPH will highlight the tremendous WPH Juarez junior program at the 50th Anniversary event, with juniors competing in junior tournament divisions and a special junior clinic during the event. With the help of the World Players of Handball during the past six months, the WPH Juarez junior program has traveled to the USHA 4-Wall Nationals, the Colorado State 3-Wall Championships, the Battle of the Border in Tucson, the WPH/WOR 3WallBall Championships in Las Vegas, the Simple Green U.S. Open, and the Tucson R48 Memorial/Junior WPH Benefit and Battle of the Border II. 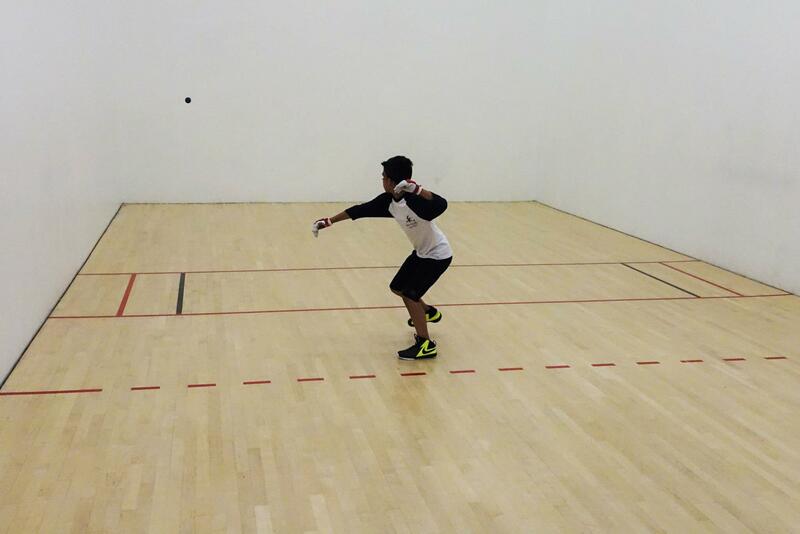 The 50th Anniversary Juarez Handball Tournament Presented by the WPH will crown a new Open Singles Champion, as defending champion and 7th ranked WPH R48 pro Daniel Cordova will not be playing. A strong contingent of players from Juarez, El Paso and surrounding states in the Southwest will make for a highly competitive draw. Log onto wphlive.tv, Like the World Players of Handball on Facebook, or follow the WPH on Twitter @dfwph and @wphlive for all of the handball news from the 50th Anniversary Juarez Handball Tournament Presented by the WPH and from around the globe. The World Players of Handball is a non-profit foundation aiming to grow the game of handball through innovation and inspiring the next generation of players through junior clinics with certified WPH coaches, junior tournaments and the Race 4 Eight tour.